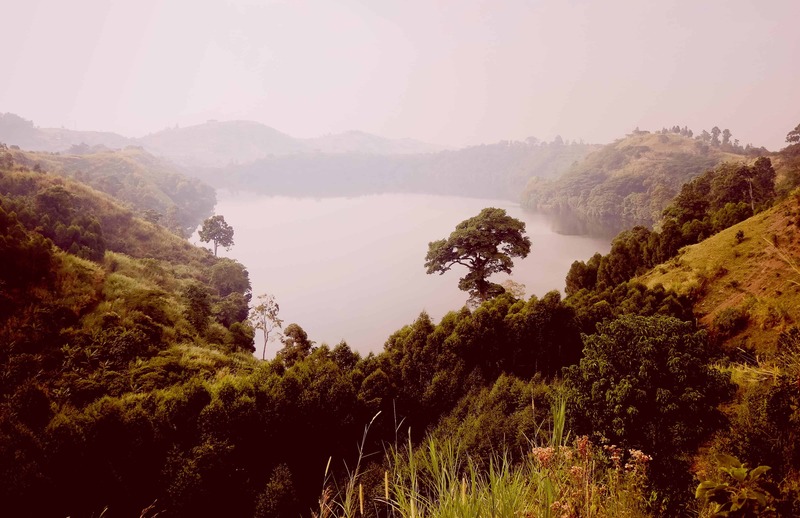 History bubbles beneath the surface of the picturesque crater lakes at Queen Elizabeth Royale National Park, rising occasionally in the scent of sulfur. These now tranquil lakes were once forged in the fire and brimstone of volcanic explosions. The cooled crater lakes are just one of the astounding features within this diverse ecosystem. Its sprawling savannah, humid forests, and fertile wetland, set against a backdrop of the ethereal Rwenzori Mountains, make it an enticing abode for more than 90 species of mammals and over 600 species of birds. We embark on our expedition, driving west to Queen Elizabeth National Park, the most visited national park in Uganda. In the morning, we set out to the Valley of the Apes, the stunning Kyambura Gorge, which stretches one kilometre across and plunges 100 metres deep. The gorge, which is drained by River Kyambura, is an attractive habitat for primates and a rich diversity of birds. After a briefing, we plunge into the depths of the gorge, tracking habituated chimpanzees as they go about their day. With luck, we will also spot the black & white Colobus Monkeys, Red-Tailed Monkeys, and giant forest hogs. After lunch, we set off on a cruise down the Kazinga Channel, which connects Lake George to Lake Edward. Warthogs, crocodiles, hippos, buffalo, and elephant lounge in the shallows and along the banks of this laid-back channel, surrounded by aquatic birds. An evening game drive in Kasenyi leads us into the grazing grounds of Uganda Kobs where elephant, waterbucks, lions, and buffalo roam. At dusk, the sunset casts the savannah in a luminous, golden tinge; a truly ethereal sight, and perhaps, an invitation to return. After a quick breakfast, we head out on an early morning game drive; a chance to spot a few more animals that we might have missed. We return to the lodge after this quick adventure and set out for Kampala. A lunch stop will be made en-route, and another at the equator for some craft shopping.